MILWAUKEE, April 25, 2018 – Employee-owned Baird announced today that it posted record net revenues of $1.53 billion1 in 2017, a 10 percent increase over 2016. Operating income totaled a record $199 million and the firm’s 2017 return on book value, including a cash dividend paid to shareholders, was 20.8 percent. Baird’s assets in client accounts grew to $202 billion, a 162 percent increase over the past decade. The 2017 results, which are available in the 2017 Baird Annual Report, mark the firm’s eighth consecutive year of record revenues. Private Wealth Management grew its assets under management to $136 billion, a record for the business. Asset Management continued to grow its businesses and assets under management rose to $65 billion. Equity Capital Markets posted record revenues for the second straight year, largely driven by continued strong M&A activity and a rebound in equity underwriting. Baird Capital, the firm’s private equity business, invested $97 million in six new and 17 follow-on investments. The business also successfully exited five investments and realized approximately $30.2 million. Fixed Income Capital Markets ranked as the No. 1 municipal underwriter in the United States for the ninth consecutive year, based on number of issues, according to Ipreo MuniAnalytics. FORTUNE magazine’s list of the 100 Best Companies to Work For - In early 2018, Baird ranked No. 12 on this prestigious list of companies considered to be great employers. Baird has been recognized on the list for 15 consecutive years and has ranked among the Top 25 for ten straight years. Baird’s employee-owned model and balanced approach have enabled the firm to produce 152 consecutive quarters of operating profitability. Employment at Baird has also increased nearly 23 percent over the past five years. Strategas: This leading boutique firm, whose primary focus is macroeconomic research, became a Baird-owned, independent company. 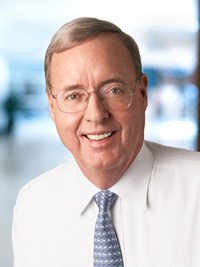 John Taft: Baird welcomed this industry veteran as Vice Chairman and a member of Baird’s Executive Committee. John brings 35 years of experience to the firm. To learn more about Baird’s financial performance and other 2017 highlights, please see the Baird 2017 Annual Report.